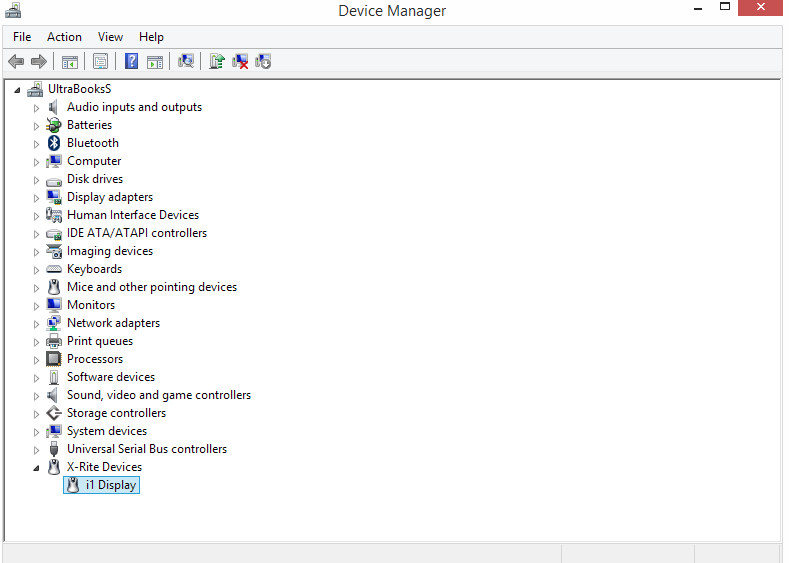 Step 3 - Connect the Eye One and go to Control Panel / Device Manager, you should see it in the list with a yellow triangle. 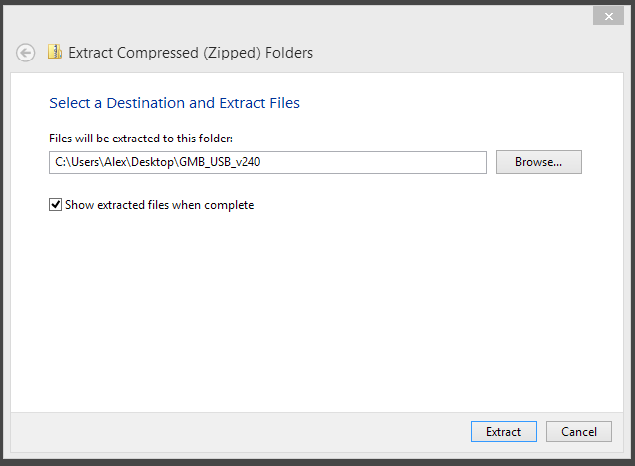 - Click Show all devices / Next / Have Disk / Browse and go to the location where you've unpacked the zip file. Step 6 - Launch the application and follow the wizard in order to calibrate your display. I hope this works for you, it worked on my laptop. I think it's a good option if you don't want to spend more on a new and updated device, it might work in the same way on a Mac OSX but I don't have one to test on. One thing I don't know, if the calibration is accurate or not, maybe somebody can do crosscheck with a fully compatible device and let us know. It looks fine on my screen even if it's not the best quality display. I could do with some feedback if it worked for you. UPDATE - Just updated OS to Windows 10, the calibrator still works fine, I haven't done a new install on Windows 10 but I guess is the same as on Windows 8 / 8.1. If anyone tried the install on Windows 10, please let me know. 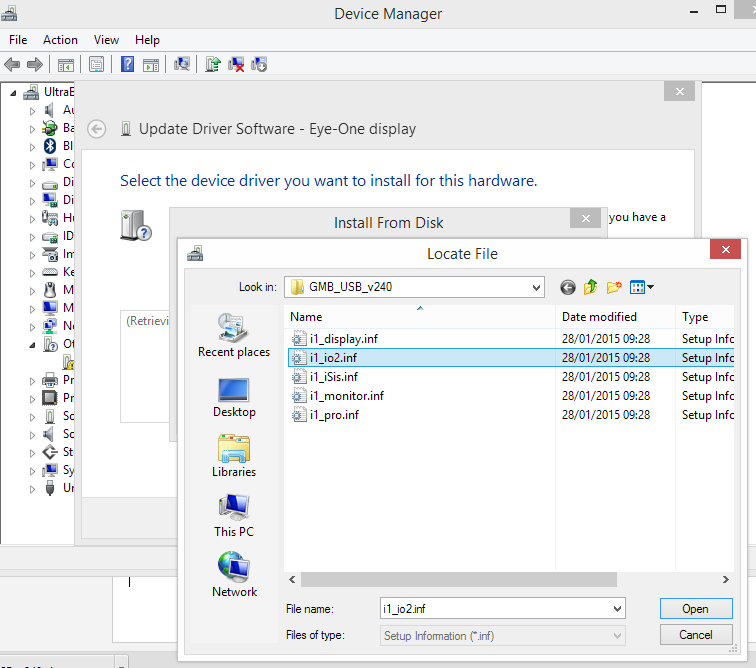 UPDATE 2 - links updated, just installed it on win 10 - just be aware, install the driver first after connecting the device. That works fine on W10 pro 64bit as a clean install. The driver installed first (manually) was i1Display which grumbled about not being certified bla bla. It's worth noting that the device driver icon changed from having the yellow warning to having a question mark instead, and was just a generic device shape, rather than the final eye-one "mouse-shape" of the GMB sensor. Thus this mean you are supposed to install the software first and the driver afterwards? It worked on Windows 10 (64 bit) for me. Thank you!!!!! I'm not really savvy with driver installs, etc, but your post was so helpful! I thought my eye-one 2 was too out of date to be used on my new Windows 10 computer, but I thought I'd give it a try. I found your blog post- it took me awhile, but I'm almost up and running. Thanks so much! Works a treat. I found I was getting an error by installing the driver first. But a simple reversal fixed that. Installed like it was meant to Thanks again. I had to use a compatible software for my Imac. Thank you very, very, very much! I've upgraded to Win 10 from 7 and was lost. Thanks! I just installed it on my new Surface Pro 3 which came with Windows 10 :-) No problems whatsoever following your instructions. Thanks for the info. I used my xrite i1 display 2 on my windows 10 machine thanks to your info. Much appreciated. This seemed to get things working on my Windows 10 machine. 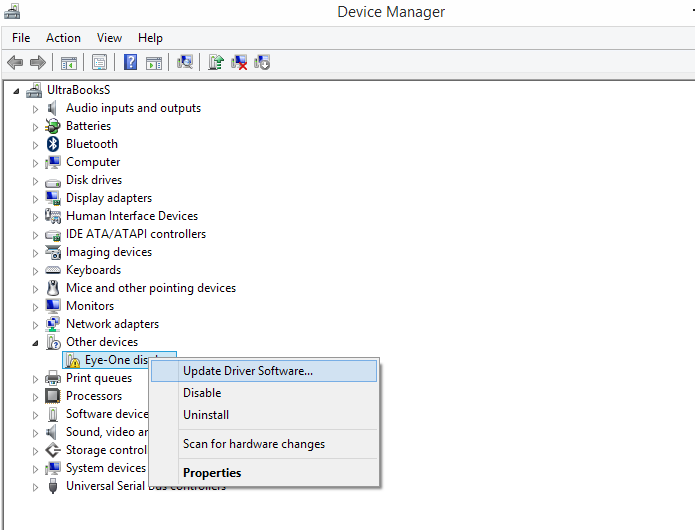 However, when I was in device manager, it would not let me select the individual driver. However, I pointed it at the driver folder, and it installed the driver and the software. The install does seem to be working. Before, I had installed the software, and it never recognized the imatch device when I plugged it in. I did do an initial calibration, and it seems to work. You saved me! I have finally calibrated my (supposedly calibrated) monitor thanks to your helpful post. I haven't printed yet, but I am hopeful once more. Thank you very much! You saved me! I was finally able to calibrate my new Asus ProArt (supposedly calibrated) monitor after many failed prints. I haven't printed yet, but I am hopeful after seeing the icc profile report. Thank you very much! Thank you for these awesome step by step instructions. I've had my x-rite of over 4 years which I purchased off ebay. Having tried everything to get it working, I failed and gave up and threw it among all my other failed hardware and gadgets. 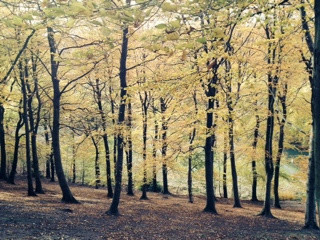 I thought I'd give it another go today and stumbled upon your blog and gave it a go and was shocked to find it began to work!!! So massive thanks again! Thank you! Works great on a clean install of Windows 10. I note that the X-Rite site claims this is all untested, may cause blue screens of death, and I'm much better off buying one of their newer products. I'll buy another one of their products with my i1Display 2 dies. Maybe. Installed it on a Windows 10 Pro PC. Thanks for the instructions. 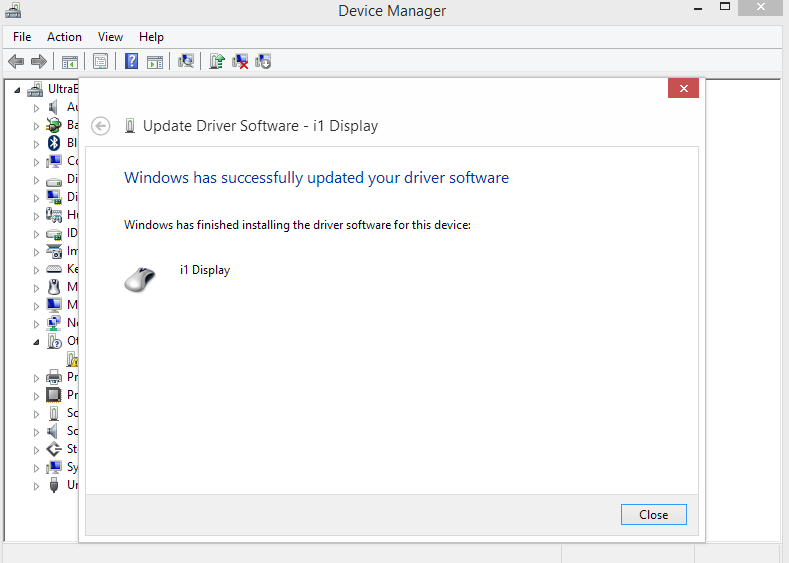 I installed the driver first and checked the Device manager which showed the driver was not correctly installed. Then installed the fix 64 and rebooted, Everything came up normally. Then calibrated my monitor. I am not being able to visit any of the listed links. 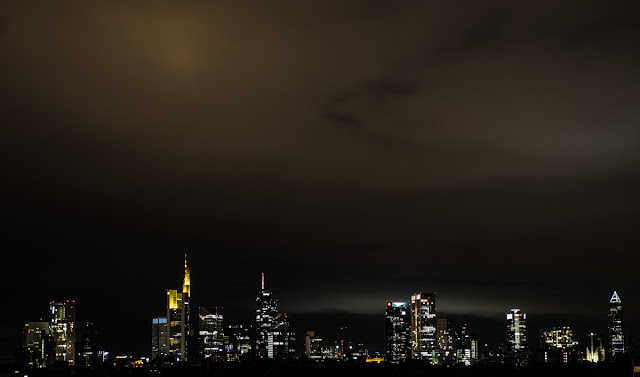 The link is redirected to a generic xrite category page, and not the specific page mentioned on the link. Can you please send me the file via any other way? I have to install it on my win 10. You can still download the software (i1Match 3.6.2 for Win7) and the drivers (for XP/Vista) here : http://www.xrite.com/service-support/product-support/calibration-solutions/i1Display-2 . I just tried above procedure and the drivers installed nicely. 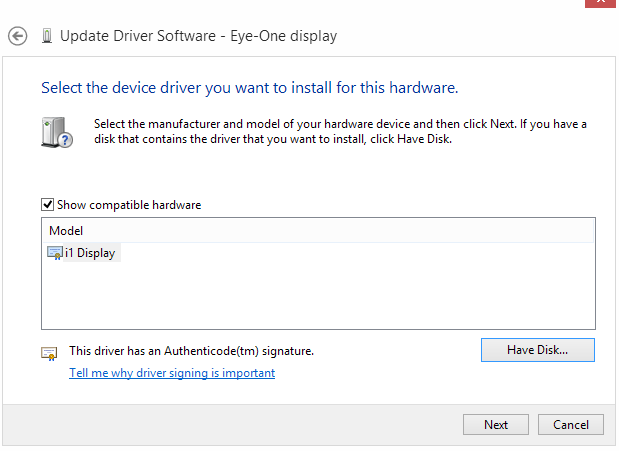 You can download drivers and software here : http://www.xrite.com/service-support/product-support/calibration-solutions/i1Display-2 (click on Show More to see i1Match). Worked perfectly on my W10 Pro 64b ! I just tried going to http://www.xrite.com/categories/calibration-profiling/i1Display-2 and there isn't any download of drivers on that page. I have the same request as Ricardo Buchner. 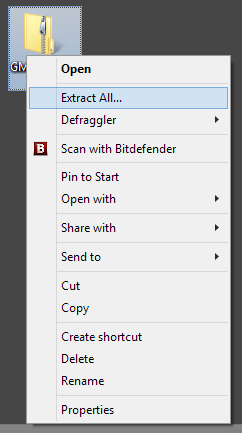 Any possible way of sending the driver file? I have software (may or may not work I don't know), but the compiter is not recognizing the device. It would be much appreciated. Windows 10 also btw. I can't download the drivers from the website. Can anyone share them? Oh my gosh! Thank you, thank you! I was ready to throw my i1 display 2 away. It worked for me today, Windows 10. Finding the driver download on the internet was the most difficult part. Installed driver first than software. Thanks for the guide.